Plan of action for 2017 – Let’s make some money! A look at what is coming up for this money making blog and how you can come along for the journey of success. In this blog post I thought I would outline the plan of action for 2017 for MoneyCortex. As well as hopefully put some ideas into your noggin for your own year ahead. First off I just want to say I am starting the year with positive feelings. I can’t be bothered to get bogged down in all the Brexit rubbish and the fear of Donald Trump. I would advise others to do the same. Focus on yourself and let those situations play out. 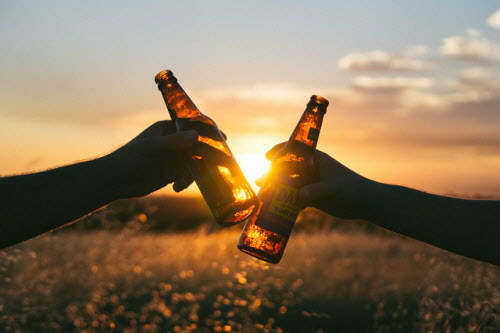 Here is cheers to a positive start to the year! In 2016 I decided to change the route this blog would take, mainly down to what content was most successful. As a result it will now be focused on making money and saving money. For the same sort of crowd as MoneySavingExpert. I am still fine tuning plans for content creation and promotion. It is difficult to juggle everything because I need to focus on my main work of freelancing and crowdworking first so at times this website will take a back seat. I have high expectations though and think I can deliver some really great content this year. As well as blog posts I will be using YouTube, Pinterest and other forms of media to try and get some exposure out there for my writing. Money making and money saving will be well covered in the writing. Quality will be paramount, I have no interest in rehashing stuff covered by other bloggers. Eventually I want this to be a kind of Wikipedia for personal finances. A big goal, and one that would take years to reach, but let’s have a go. A few series of posts are already planned, watch out for those over the next 6 months. What’s your New Year’s resolution and focus? For me I have came up with a mantra of “just one penny more”. It is a mindset of not leaving money on the table. I have been guilty in the past of being complacent and thinking I’ve done enough. This lead me to not maximize opportunities and earn as much money as I could. Whether it means squeezing in one extra survey per day, or writing an extra few hundred words in a blog post in the evening. As a famous retailer pointed out to us all; every little helps. I also have a personal New Year’s resolution around exercise, but that is for me personally and means I have one resolution on the personal side, and one thing to focus on from a business side. How about you? I hope you’ve came up with fresh ideas to make your 2017 go how you want it to. If you haven’t yet come up with anything it’s not too late. Pick your area of focus, EG saving money, and then fine tune to narrow down your goal. Before you know it you will have something to work to and be right on your way. If you are struggling then try having a brainstorming session. 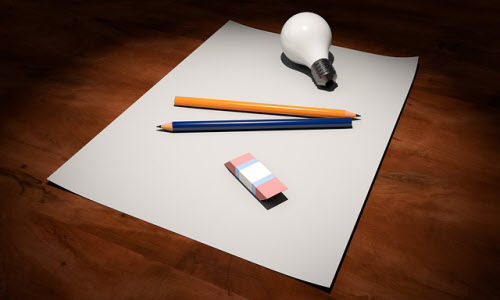 Grab yourself some good old fashioned paper and a pencil, jot down ideas and eventually the lightbulb moment will happen. That’s pretty much all for this blog post. It is time to get on with it and start boosting my income and yours! Now that you have your own goals set out you are welcome to join me in the journey using the subscribe box in the sidebar (or at the bottom if you are on a mobile device) and let’s get stacking some cash over the next 12 months and beyond.